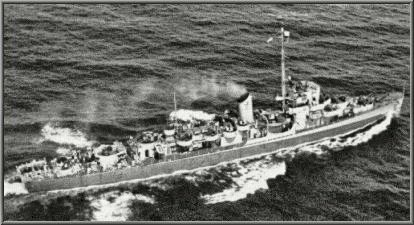 22 February 1943: Keel laid by the Federal Shipbuilding and Drydock Corp., Port Newark, N.J. NOTE: Eldridge was the subject of the much publicized book and movie "The Philadelphia Experiment"
8k John Eldridge, Jr., born 10 October 1903 in Buckingham County, Va., graduated from the Naval Academy in 1927. After flight training at Pensacola, Fla., he served at various stations on aviation duty. From 11 September 1941 he was Commander, Scouting Squadron 71, attached to USS Wasp (CV 7). Lieutenant Commander Eldridge was killed in action in the Solomons on 02 November 1942. 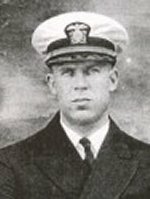 For his extraordinary heroism in leading the air attack on Japanese positions in the initial invasion of the Solomons, 07 and 08 August 1942, he was posthumously awarded the Navy Cross. 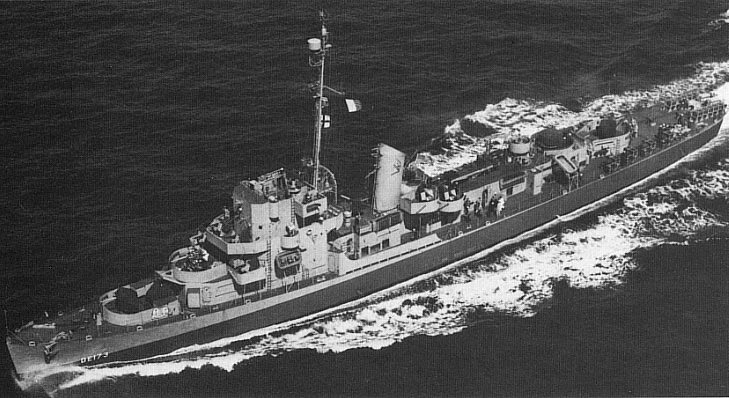 USS Eldridge (DE 173) (1943-1946) was the first ship named in his honor. 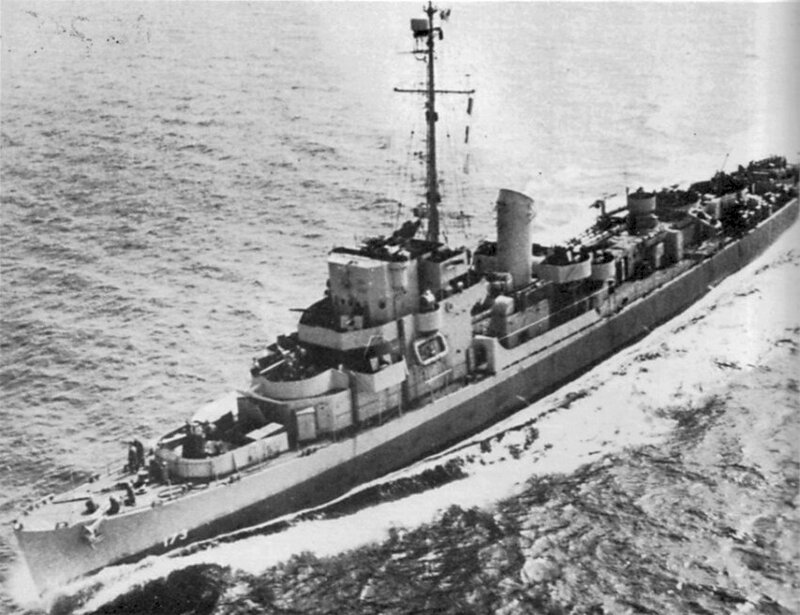 97k Eldridge, of the Bostwick class doing her full speed. 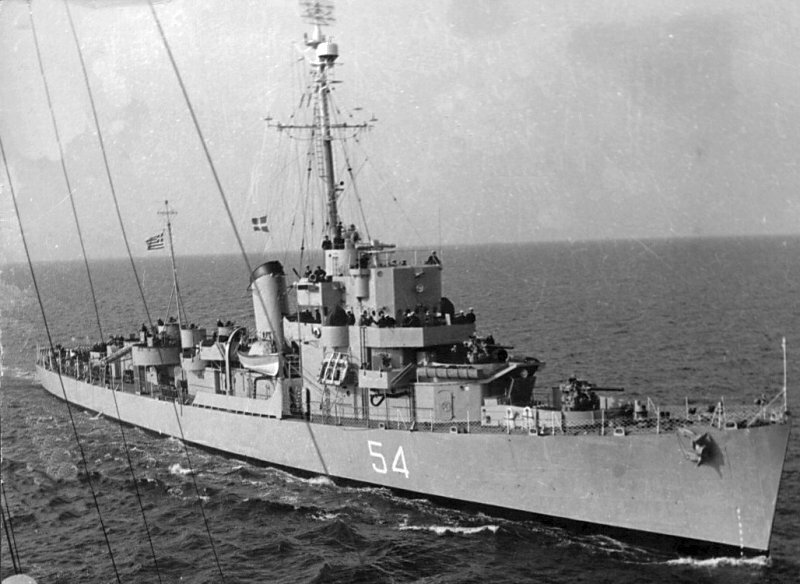 These ships retained the long-hull form of the Buckley class, but are distinguished by their funnel form, taller than that of the Evarts type. 178k 15 January 1951: Boston, Mass. - Eldridge's commissioning ceremony into the Greek Navy. 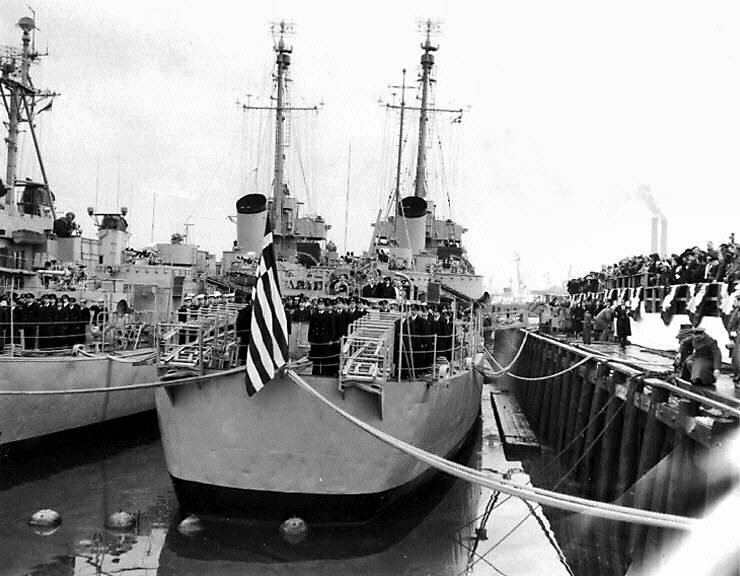 View the USS Eldridge (DE 173) DANFS history entry located on the Naval History and Heritage Command web site.